Synthetic resin is a kind of synthetic high molecular weight polymer, which combines or exceeds the inherent properties of natural resins. Now it is the most important manufacturing material in world, which can be applied for injection molding, plastic extrusion, blowing, foaming, etc. As the top five of the synthetic resin, PE, PVC, PP, PS and ABS are used very popular in injection mold tooling China, such as our Rapid Injection Molding service with rapid tooling. Here we will share some comparisons of the performance and application among these materials. 1. PVC (Polyvinyl chloride): It’s a general synthetic resin material, which has good performance at flame retardancy, chemical resistance, electrical insulation, etc., but the thermal stability and light resistance is not good. PVC is mainly used for the profile parts, pipe fittings, sheets, cable sheaths, hard or soft tubes, films and so on. 2. 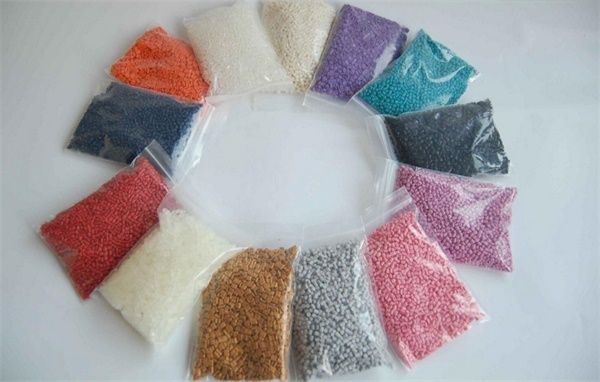 PP(Polypropylene): PP is a light density material with good toughness and good chemical resistance. But there are still some defects, such as low dimensional accuracy, lack of rigidity and poor weather resistance. It may be easy to shrinkage after. It’s often used in household appliances, plastic pipes, transparent parts, etc. 3. PE(Polyethylene): PE has good electrical properties and high frequency insulation which is not affected by the humidity, but it’s easy to be brittle at low temperature, as well as the wear and ageing resisting is not good. Films are the main processing products, followed by sheets, coating, bottles, cans, barrels and other hollow containers, also for some various injection and blow molding products, pipes & wires, cable insulation and sheath, etc. 4. PS(polystyrene): Because of its good light transmission, PS is widely used in the optical industry for producing the optical glasses and instruments, also for transparent or bright color parts, such as shade, lighting and so on. When adding a small amount of other substances such as butadiene in PS, it can significantly reduce the brittleness and improve the impact toughness. We call it shock-resistance PS, which the mechanical properties can be greatly improved. This can be used to produce many excellent mechanical parts and components. 5. ABS (Acrylonitrile Butadiene Styrene): ABS is a material with many good performance, not only including impact resistance, heat resistance, low temperature resistance, chemical resistance and electrical property, but also for easy processing, size stability, good surface gloss characteristics, as well as easy painting, coloring, also can be surface sputtering metal, electroplating, welding, hot pressing & bonding and other secondary processing. Because of its excellent combination property, ABS is used most widely for injection molding in almost every industry. Customers and engineers like it because of its excellent production performance and low price; the injection mold tooling factories like it because of its good processing performance and size stability. For example, more than half of Rapid Injection Molding products in our rapid tooling factory are used in ABS. It can be stronger or with other better performances as well by adding some other substance. We will talk more about this in-depth later in next topic. Do you like the information above? If like, please keep in touch and follow us at sales@teamrapidtooling.com.